A native village within a city. It is good to appreciate indigenous art in an indigenous atmosphere. 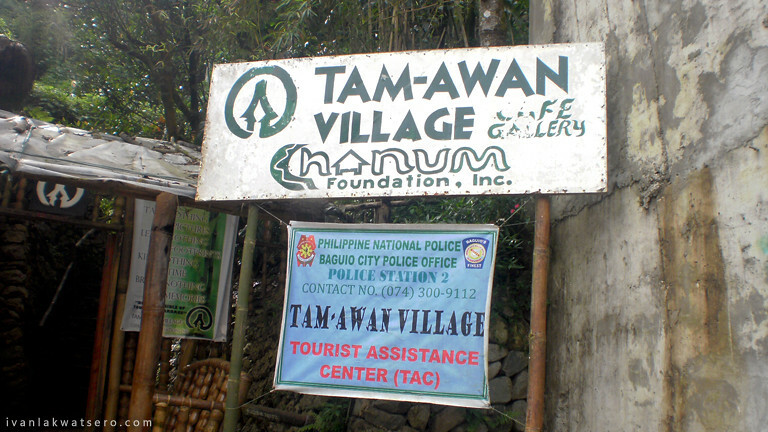 Our day started with this art-appreciation tour inside the Tam-awan Village. After having a delectable pizza breakfast at Pizza Volante, Robbie and I took a cab (about 15 minute ride from Burnham Park) to this unusual native art exhibition. I paid only P30 (ansarap ng buhay estudyante, andaming discount), while Robbie paid the full fee of P50. Upon entering, there's a feeling that I was shifted out of the city. 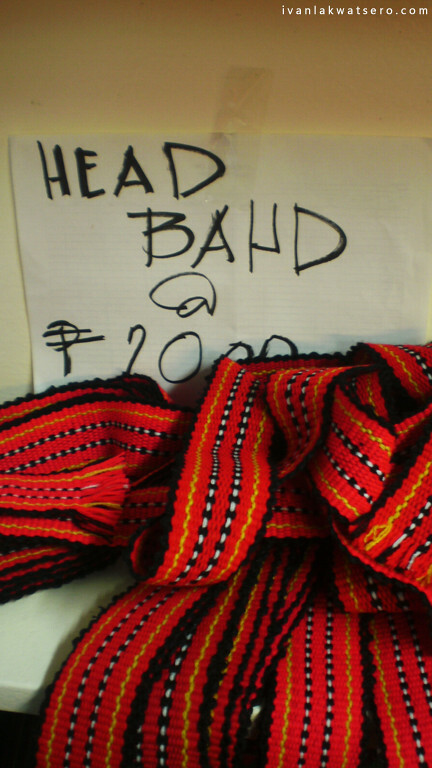 As if I was walking on the streets of an Ifugao Village far from Baguio City. 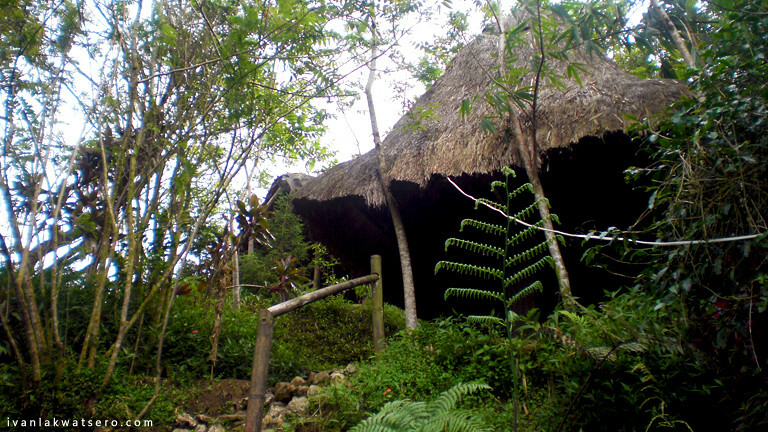 Huts of various kinds and shapes greeted us while they sit serenely on a semi-forested mountainside. 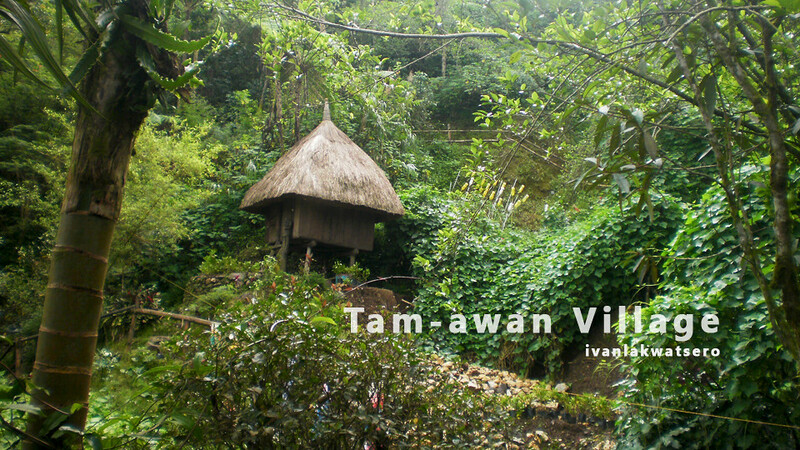 It is said that these huts are the actual houses from the native villages of Ifugao, transported and reconstructed to its present site inside the Tam-awan Village. 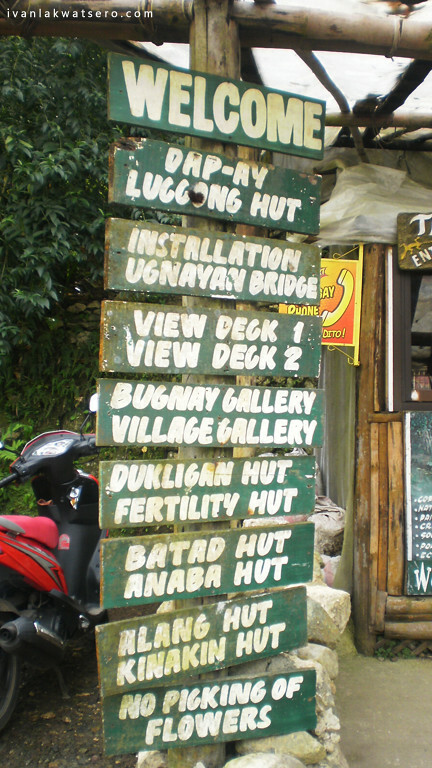 One large Kalinga Hut exhibits a number of paintings creatively done by artists from the Cordillera region. 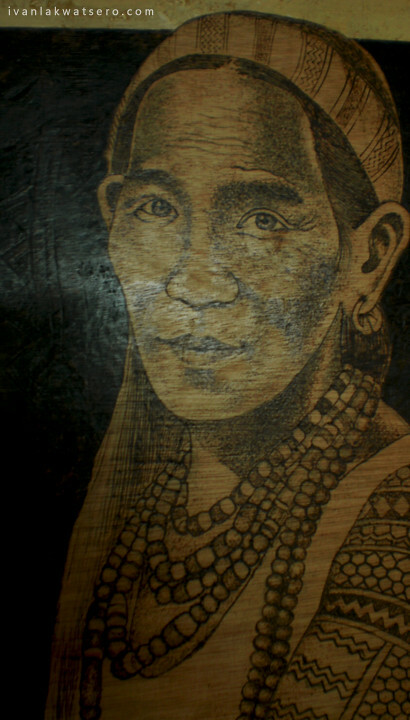 All paintings were touched by indigenous art, intricate and figurative. 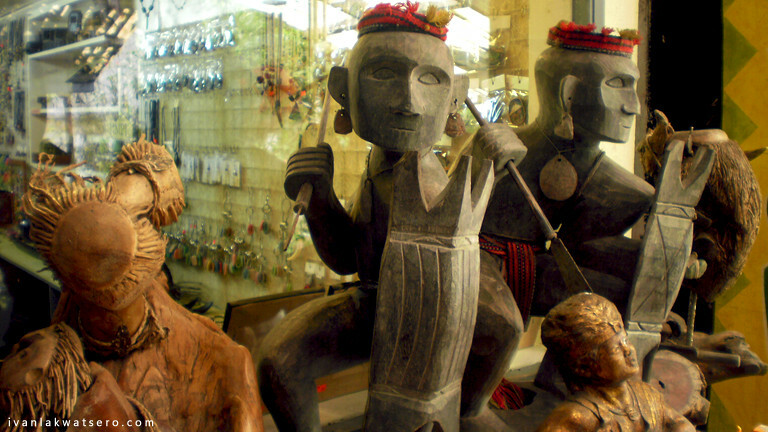 A nearby hut displays a collection of delicately carved wooden statues of Bulol (the rice gods of the Ifugaos), native Ifugao weaponry, and colorful Cordillera weaves. 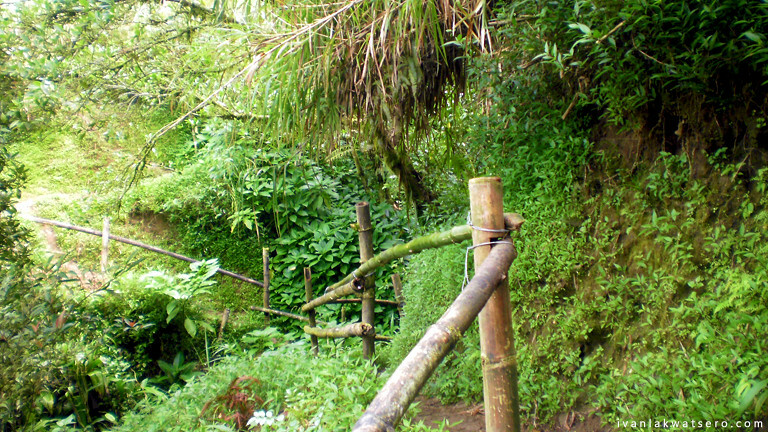 Because I love following trails, I eagerly followed the trail that leads to the highest point in the village (iniwan ko si Robbie sa baba). What I saw there was a view of the whole village and the whole of Baguio City partially covered by thick clouds. Some say that La Union is viewable from that point if it is a clear day. 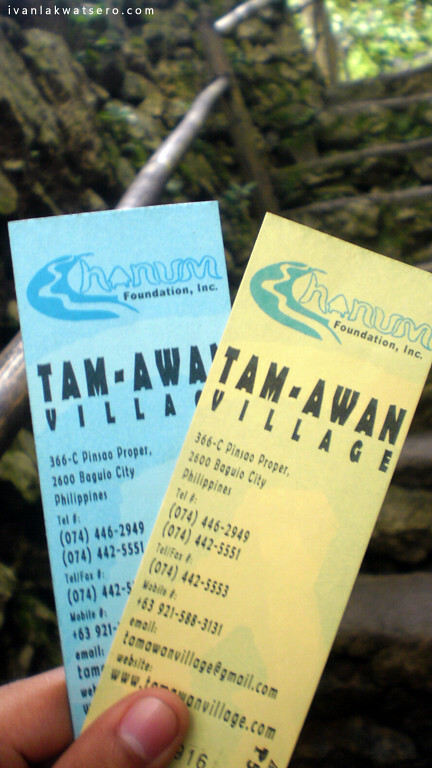 Before we left the place, we tried Tam-awan Cafe. I ordered a cup of mountain tea to freshen up my senses, it's good and soothing. 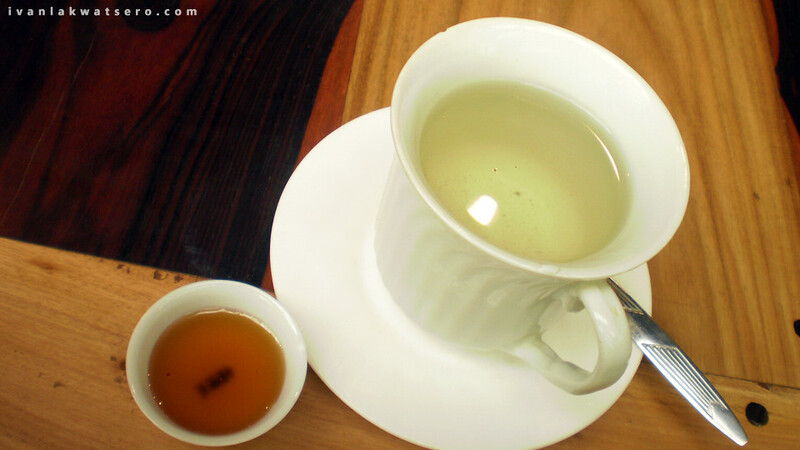 A cup of mountain tea goes perfectly with the serenity of the atmosphere inside the village. 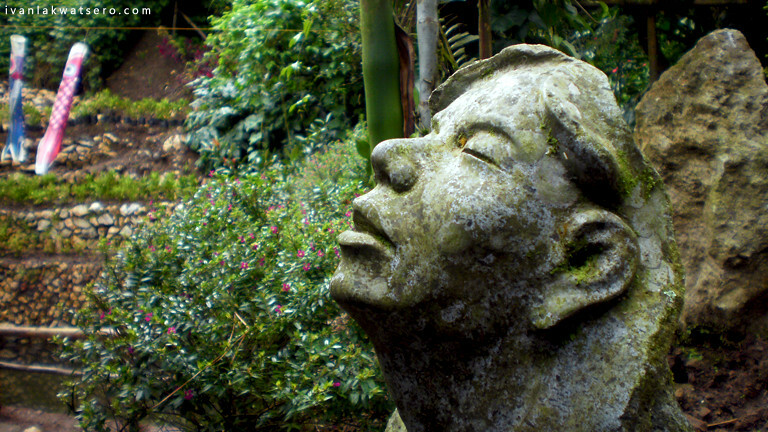 Around 10am, we headed next to Ben Cab Museum to appreciate more splendid art works. if i'm not mistaken, pinaparentahan nila yan ng 700 per night. ang sarap sigurong tumira sa loob nun no? gigising ka sa makapal na fog. ang sarap ng rice wine nila diyan. you should've tried it. Yung highest point, narating ko rin siya. Sabi nila, south china sea daw ang makikita mo pag clear ang sky. ay ewan. hahah! hindi kasi clear ang sky nung pumunta ako. baka nga la union lang yun. in-OA lang. hihihi! have a great day! 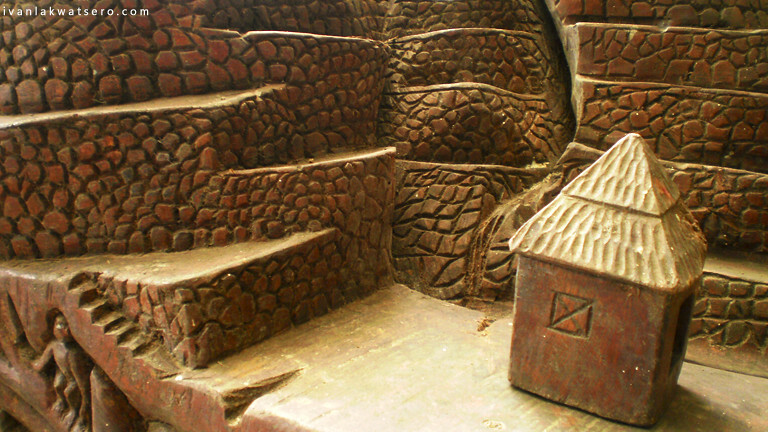 ang ganda ng painting at astig ng mga wooden sculptures.. Hoepfully makatapak din kami dyan sa Sagada trip namin on February..
nako ms joan.. sa baguio na yan... wala yan sa sagada. Naloka talaga ako nung bigla kang nawala sa may forest (forest talaga???). I'm Ivan, the kiddo behind Batang Lakwatsero. I'm a biologist and I love to travel. Climbing mountains is what I do best and love the most. All my adventures are in this blog, so go, browse it. What Mountains Have I Climbed?